How young do I look here? Since I had first heard of Solo 24hr Racing, probably way back in about 1998 when reading about the Red Bull 24 as it then was, I had always vowed that I would never, ever, do anything quite so silly as enter one. As I got older and less wise the idea began to appeal to me, just the one, just to see if I could do it. I did a 12hr time-trial in 2008 and then a 24hr time-trial the following year, which at the time was by far the hardest thing I had ever done, and during which I even fell asleep on the bike for a (very!) brief moment at about 4am. I had never gone longer than 6hrs on the mountain-bike though and so the original plan was to do a 12hr race in 2010 and see how I got on, and then maybe try a 24hr in 2011 if I was still feeling brave. 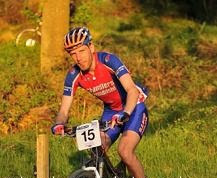 However, at the beginning of 2010 it was announced that there would be the first ever British 24hr Championships at Newcastleton in May and so I got my entry in before I had really had time to think through what I was about to do and wimp out. It was also the only 24hr in the UK which was exclusively for solos, so there would be no team riders hurtling passed at Mach 3 in the middle of the night, ideal for a novice. There was even a special category for Rookies. I was expecting that most of my fellow competitors would also be complete newbies like me, just seeing if they could get around in one piece. I was slightly concerned when I arrived at the venue at Rock UK to find the place filled with veterans of, and even previous winners of, Mountain Mayhem, Relentless, Sleepless, 24/12, the Strathpuffer and various other events I had never even heard of, I had no idea the 24hr scene was so big. I hadn’t really been sure how to prepare for a race like this so I had brought 3 bikes, all of my tools, as much food of various kinds as I could fit into the van and a big tent to put it all in. That was about as far as planning went. There were nearly 90 of us assembled in the spring sunshine, an unusually warm day for Scotland, probably one of it’s warmest weekends ever. This was good, I go well in the heat. The start was at noon down in the centre of Newcastleton village where we were part of the local Tub festival (I’m not quite sure what that was either, but it seemed very popular.) We were lead out of the town by the Copshaw Common Riders on a variety of interesting contraptions, all behind the piper. The truck led us from the road up the hill to the track itself and then peeled off and the race was on. I had been near the front while we were behind the van and so I found myself in amongst the main contenders as they shot off like the proverbial from the shovel. I had no idea how to pace myself during such races so I assumed that the fast guys knew what they were doing and so I went with them, trying to keep up as best I could for as long as I could. I think this actually worked quite well, I was able to put in a few quick laps early on while there was still plenty of daylight. 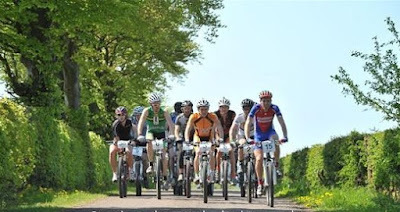 The course itself had been really well thought out, Newcastleton is an excellent venue for this kind of event. It was reasonably good fun to ride in the daytime while we were still wide-awake, but nicely challenging in the middle of the night while we were half asleep. It was also mostly hard surfaced, gravel and rocks, which meant that had the weather not been as fantastic as it turned out to be it would all still have been rideable without chewing up and becoming one big bog. The only bad thing I have to say about it isn’t really something anyone could do anything about, and enough people have tried over the years – the midges. They weren’t too bad for us competitors, they seem to struggle to latch onto a moving target. The marshals out on the open, and therefore slightly breezy, moorland sections got off lightly too but those poor marshals in the trees were eaten alive. Every time I passed them after the sun had started to go down they were wearing more and more clothes. Long sleeves first, then gloves, midge-nets, buffs, scarves, hats, anything they could get their hands on, they all looked like they were wearing bhurkas by the time darkness actually fell. All that clothing must have been really uncomfortable, the temperatures stayed surprisingly high all night, they must have been sweating like crazy under all those layers, and of course the sweat just attracts even more midges. I started to struggle a bit as darkness fell too, although for different reasons. Much against my own expectations I felt fine, I was still putting in sensible lap times and keeping my speed up until dusk. My problem was with seeing where I was going. My total previous experience of night racing was one team race at Mayhem four years previously and the 24hr time trial the year before. I had not realised just how much artificial light is needed to be able to go rapidly through the forest at night and my 4xAA battery-powered single LED was proving to be much less suitable for this than it had been for the time-trial with all it’s street-lights and cat’s eyes. The more experienced riders were charging around with what could easily function as a high-powered search-light strapped to fronts of their bikes and seemed to have no difficulty at all in seeing where the lines through the rocks were. I elected to cut my speed right down and just make certain of staying upright, rather than risk going too fast into the unknown and hurting myself. It was an enormous relief to see the sun starting to reappear, and not only because it meant that I could actually see the rocks, roots and ravines again, and therefore not ride into them. Talking to people before the race they had all said that if I could make it through until dawn I would be fine, that’s the hard part over and mentally it would be a huge boost. It was, and I found myself thinking ‘Nearly there.’ Erm, not quite, there was still over 8hrs of racing to go. The pits were starting to come alive again too as the sun came back out, Team Chadwick in particular was getting noisy but this was great, it really does help to have people shouting you on. Although the individual pits had been quiet overnight there had been a constant buzz in the main arena. There was a marquee there especially for ‘Super-Solos’ of which I was one. It’s not quite as grand as it sounds, it’s those of us not only riding solo (which was everyone at this race) but who are also doing it without any supporters or pit crew looking after them. There was a unlimited supply of hot tea and pasta there all night long and the guys from Juice Lubes were ready to wield their spanners if the need arose. More important was the constant cheering and encouragement from everyone there, although not quite as loud and raucous as Mr C and Co. 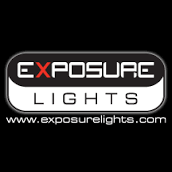 There was also a trade stand operated by Exposure Lights who were not only providing charging facilities for anyone to use but were also hiring out proper, decent lights to those like me who lacked such things. Had I realised just how inadequate mine would prove to be I would certainly have paid them a visit before the race. In the closing stages of the race I was starting to concentrate more on my position, rather than merely getting to the end, and I was involved in two battles. As I mentioned earlier there was the Rookie’s Championship, for those who had never done a solo 24hr MTB race before. I had thought that my 24hr time trial and team race at Mayhem would make me the most experienced Rookie, if that’s not a bit of a contradiction, but this turned out not to be the case. John Fettis was the leading Rookie early on, although I hadn’t been too far behind. However, I had spoken to him earlier in the race and knew that he had once done a 36hr road race, from the Severn Bridge to the Menai Bridge. And back. The hilly way. He did beat me in the end, but Rory Hitchins also snuck in under the radar by being a vet as well, leaving me in third at the finish. The other battle I was involved in was for a position in the Seniors race, down at the lower reaches of the top-10. I was in 11th as the end approached, with Ant Jordan just ahead in 10th and Ian Scally not far in front of him. I had a vague memory of hearing someone say that the top-10 would be able to go to the World Championships in Australia later that year. The thought of doing that had never even crossed my mind until about 8am when someone told me what position I was in. I knew who Ant was, on his distinctive pink bike not far ahead, but had no idea who Ian was. With four hours to go I gave it everything I possibly could. 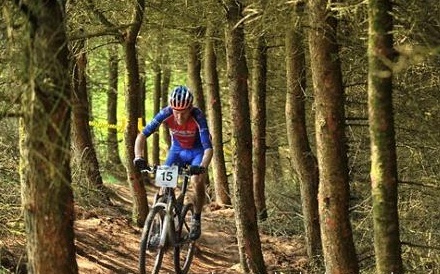 I was absolutely flat out, this lap was like an XC race, on the limit everywhere, pushing, pushing, pushing. I caught Ant near the end of that lap but he must have realised who I was and what was going on and he responded in kind. He picked his pace up on the next lap and we charged around together, really close, tight racing. I was amazed that we could do this sort of thing well over 20hrs in but I wasn’t going to question it, I was just hanging on as best I could. In the 10 miles of the lap we were never more than 20 seconds apart, sometimes him in front, sometimes me. Even his pit crew, Carole, Simon and co were cheering me on, they were enjoying this as much as we were. Despite everything else I have done on a bike over the subsequent years I can still say that those last couple of laps were some of the most fun I have ever had, fighting for every second and that vital 10th place. It was a shame we couldn’t both have it, but we couldn’t, and I was determined that it was going to be me. The next lap I kept the pressure on and managed to open a gap over him, nearly 8 minutes, I have no idea how I did that but it was crucial. This race was a ‘short’ 24 which means that only laps completed within 24hrs count, rather than the ‘long’ 24 format where laps started within 24hrs count. It was touch and go whether I would be able to complete my final lap in the allotted time but for Ant the fight was over. He had given everything and with nothing left in the tank he knew he wouldn’t make it round in time for one more to count and so he finished his race then. Coming back down the final hill was one of the best feelings ever, I had made it around my first 24hr intact, and done far, far better than I ever expected to. Down from the summit, picking up speed to the corner at the edge of the woods, leaning in as I turned left, feeling the bike start to slide, letting it run wide as I looked for the grip, over to the right for the next corner, staying wide, down the last part of the hill to the tight right-hander at the bottom and up the hill into the pits and the finish line. The whole section was lined with people cheering us all on, it really was fantastic. I just had to confirm the results now, had I done it? Last time I had heard Ant and I were 10th and 11th, I must have done it, surely? It would be a shame to knock him out of the top 10 but I could live with that. I found the results. Anthony Jordan 10th. Hang on a minute, what’s happened there?! Andrew Howett 9th. Wow, that was brilliant. Somehow we had both passed Ian during our battle but had been concentrating so hard on beating each other that we hadn’t even noticed! We were both going to the Worlds. Australia here we come.